April, 2006 - Here are some new photos I've recently discovered. The first 2 are unlike any I've seen. I've left them large to enable you to see the detail. 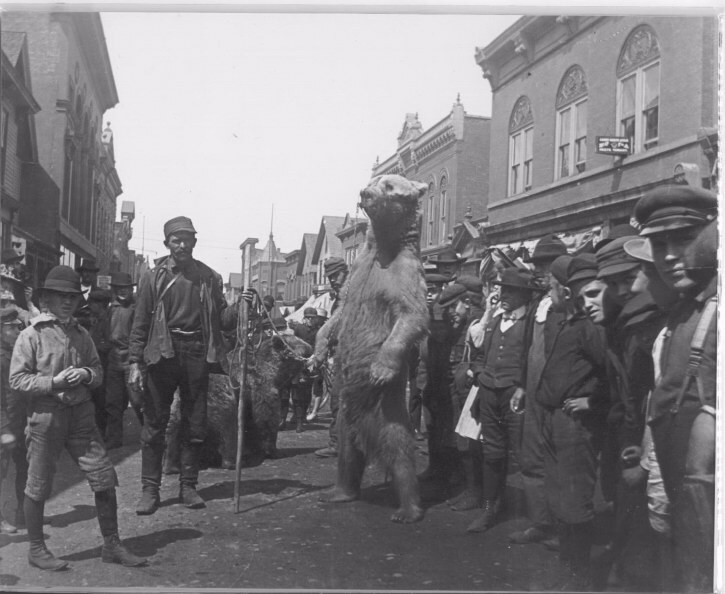 These are from a 4th of July parade, perhaps around 1905 or earlier. 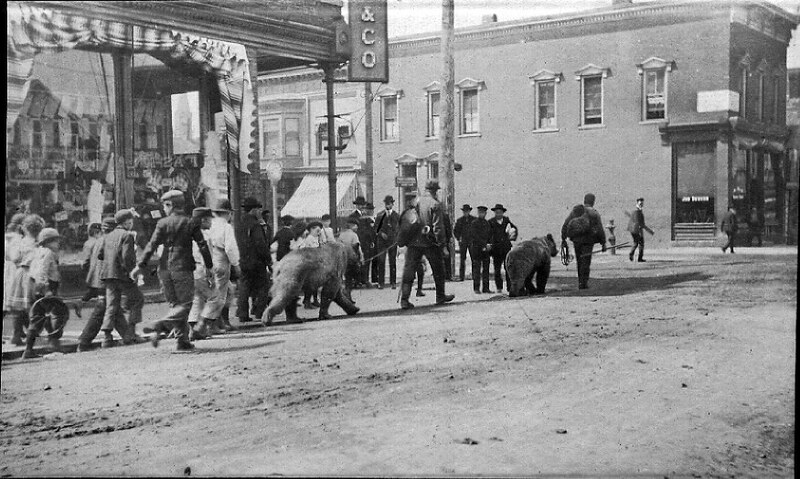 5th Street and Oak are both dirt, which would indicate a period perhaps earlier than 1905. Both are very wide angle images, probably taken by one of the local professional photographers of the time. 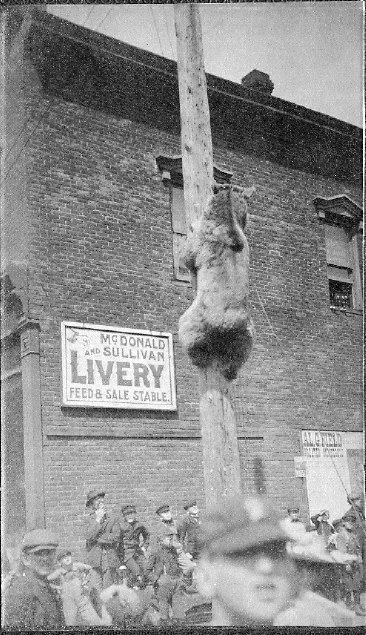 I believe these were taken from the location of W.E. Steckbauer's studio, though they are not identified as such. I'm not sure what the message on the float means, but could it have been some type of political theme? 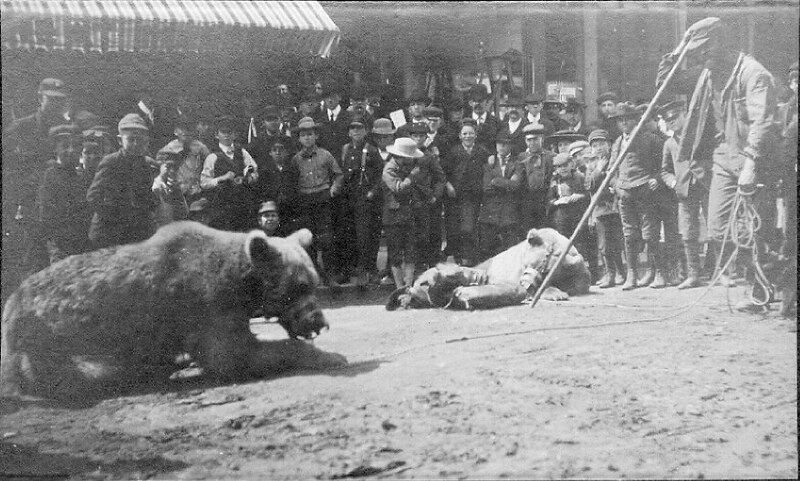 The following 5 pictures are also from the same time period and show a pair of traveling "trained" bears. What I really enjoy about these are the number of children following these two drifters and their bears. The animals appear to have a cage over their snouts, but I'm sure they still had their claws. I guess safety wasn't too big of a concern back then. 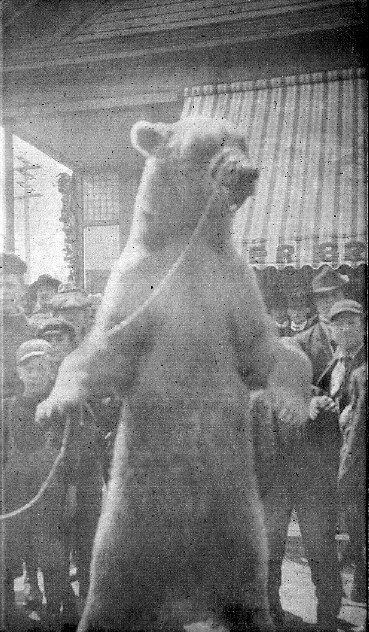 The image below is a modern reprint from Superior View in Marquette and shows the children again all lined up around the bears. I recommend you visit his store or search for his sales on eBay (I do) as he has many nice, high quality images of the Copper Country. This final image shows another group of boys (of course!) 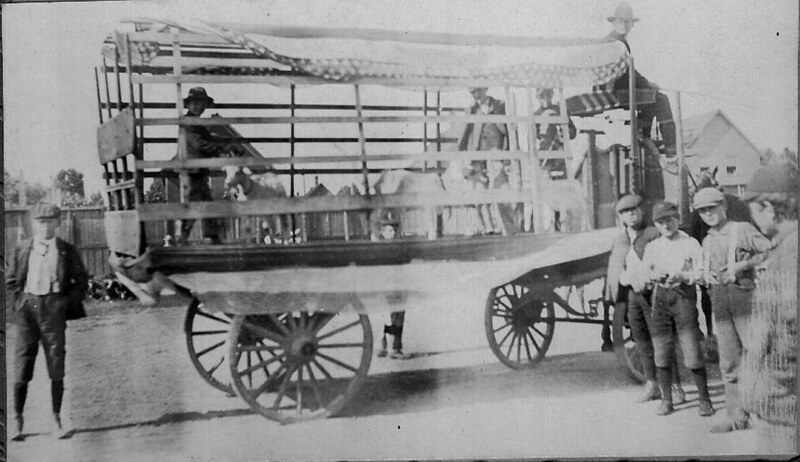 hanging around a wagon with animals, and from the stars and stripes decorations, I am guessing this was part of the 4th of July parade from above.